On Friday, July 12th & Saturday, July 13th, Velocity TC New York traveled to Needham, Massachusetts and competed in the Needham Youth Classic. Some of the best athletes and teams throughout the tri-state were there. 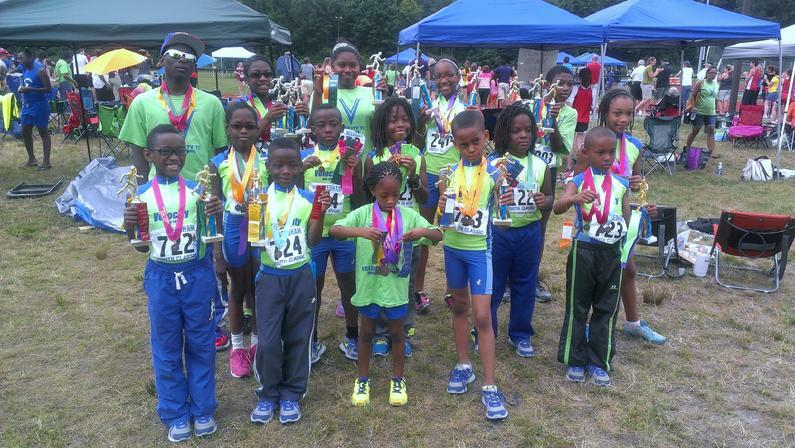 Such as USATF Regional... 1, 7&8 years old boy 100 meter dash gold medal winner Rhandyn Bair and his team, Central CT Jaquars. USATF Regional 1, 7&8 years old girls 400 meter winner Kylee Bermard and her team Cambridge Jets. But, Velocity TC New York, made a statement throughout the tri-state, winning a team trophy, 12 first place individual trophies, 9 second place medals, 5 third place medals and bunch of 4th to 8th place medals. The competition was hard, but a lot of fun for the children, because there were other events they participate in, which normally they will not. This gives me an opportunity to see what an athlete may be better in. Event such as: standing long jump, turbo throw, 50 meter hurdles, high jump, softball throw and more. The children love trying other events.